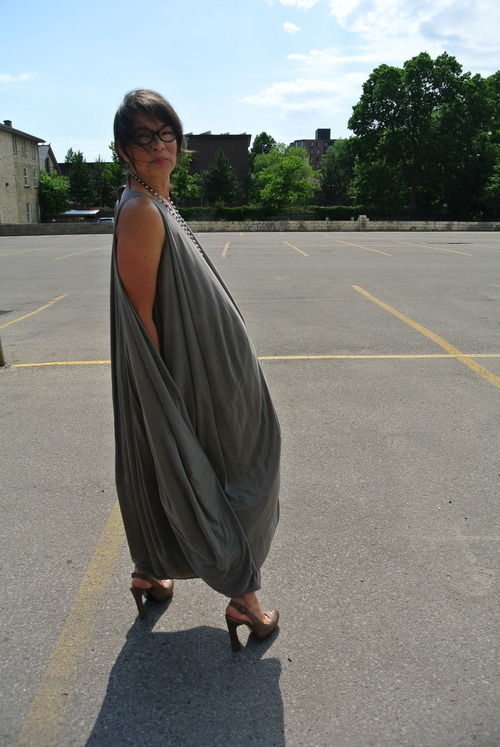 Saffron Road is excited to have Jeremy Laing's collection for Fall/Winter 2012! 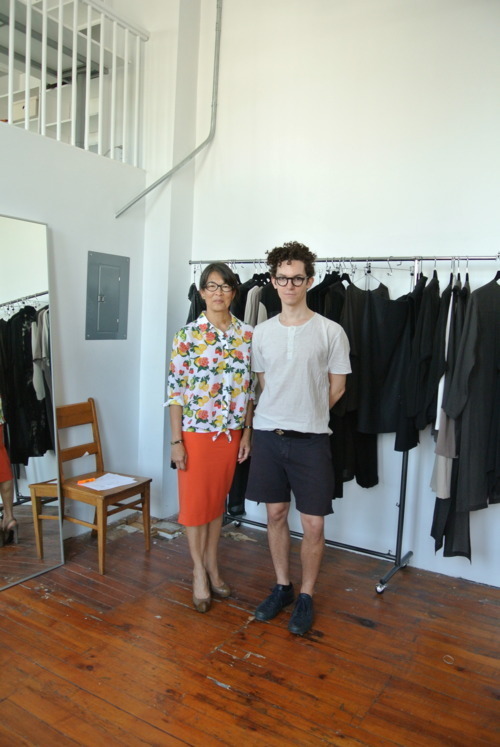 Here's a great shot of Toronto-based designer Jeremy and Saffron Road owner Gail-Lynn. Not to steal Jeremy’s thunder, but check out the boss sporting this season’s must-have colour, orange from Lida Baday and print from Equipment in the picture above!!! If she can do it, you too can wear colour & print! We also LOVE the lamp dress from Jeremy’s Spring 2012 collection in the photo below. Gail-Lynn was on her way to a wedding where she received many compliments on the dress. We think Saffron Road and Jeremy Laing look fantastic together!